Welcome to the Hilton Naples hotel - be prepared to experience complete relaxation, confident that important details are properly managed. This one-of-a-kind hotel has fabulous interior design, classic architecture, and luxurious guest rooms. 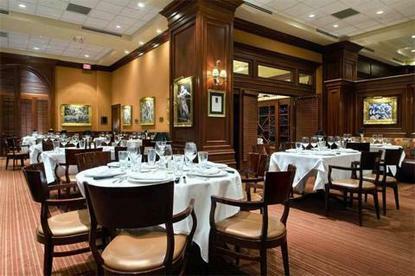 Entertaining and dining at world famous Shula's Steak House, the Hilton Naples' featured restaurant, is perfect in the tradition of legendary Coach Don Shula.This AAA Four-Diamond Rated hotel is centrally located close to the beach, entertainment, shopping and restaurants. We offer a complimentary Beach Package which includes a short shuttle ride to The Travel Channel's selection for their ''Best Beach in America'' award.Whether you're relaxing by the waterfall swimming pool, or enjoying the warm jets of the whirlpool, you'll be sure to notice the many amenities Hilton Naples has to offer.The Hilton Naples hotel is located 30 minutes from Southwest Florida International Airport, 10 minutes from the convenient Naples Municipal Airport, near upscale shopping at Waterside Shops, Fifth Avenue, Third Street South, and Bayfront. Nearby, discover the Naples Zoo at Caribbean Gardens, The Nature Conservancy, the Florida Everglades, Naples Museum of Art, and The Philharmonic Center for the Arts. Championship golf courses and tennis courts are only a short distance away.